Devices can't connect and we Host SuccessWare21 in house. 2. Select the small 21 icon in the top left-hand corner. 5. 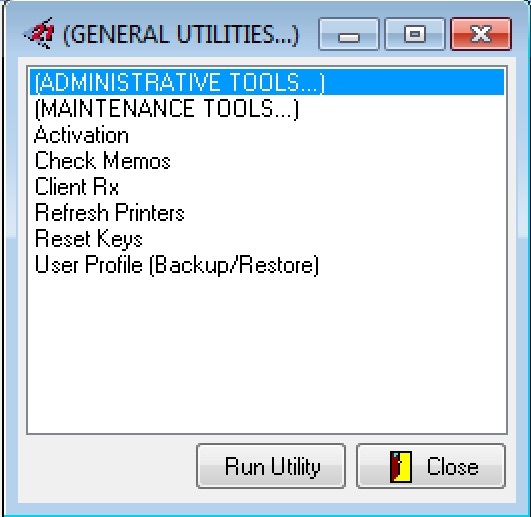 Select Administrative Tools and press Run Utility (or double click Administrative Tools). 6. Select Http Service Administrator and press Run Utility (or double click Http Service Administrator). A. Right click on the task bar on the server. B. Select Task Manager and go to the Processes tab. 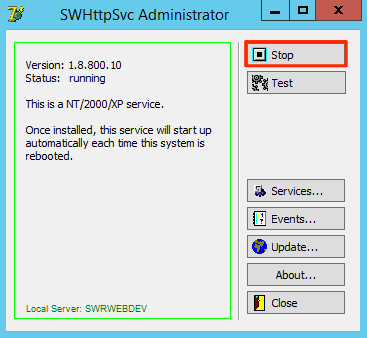 C. Find and select swhttpServ.exe from the list. D. Press the End Process button to terminate the program. E. Go back into the Http service administrator and press the start button. Log into the SWRemote admin site and navigate to Master Accounts -> scroll down below Payflow Settings -> press the Test Connection button. If the button turns Green, the devices should be functional. If it returns with any error message, please call the SWRemote support team at 1-800-566-6940 for assistance.